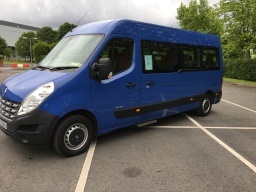 Dublins best coach and bus hire business in Dublin try us out we are competitive value for money we will not be beaten on price.All drivers have excellent knowledge of Dublin and County.We are based in Blanchardstown Dublin 15 ,we are certified by both the department of Transport and the rsa. All drivers are garda vetted and are professional and help at all times. Book a Bus Dublin Book a bus Dublin is a low cost mini bus and coach hire business .Customer service and safety is our main priority always. small size groups catered for schools are our speciality .